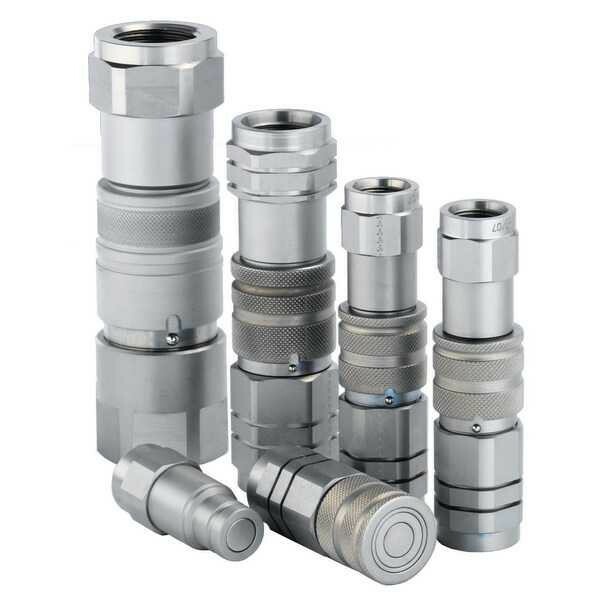 FLAT FACE COUPLINGS A probe and carrier valve designed with Flat Faced connections suitable for use in high impulse applications. INDUSTRIAL PULL-BREAK COUPLINGS ISO ‘A’ Series, ISO ‘B’ Series and ‘V’ Series Interface designed for use in general hydraulic applications. AGRICULTURAL COUPLINGS A coupling designed for agricultural applications where push-pull connection is required. Also designed to be interchangeable with ISO ‘A’ Series couplings. ISO TRAILER BRAKE COUPLINGS The Europower ISO Trailer Brake Coupling is designed to exceed the International Standards for towed agricultural and forestry braking systems. SAFETY FUSES The Eurosafe and Minisafe Safety Fuses are designed to close instantly in the event of supply hose failure.